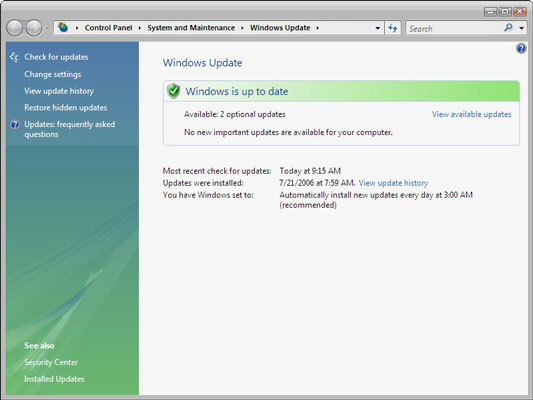 Windows Vista lets you set Windows Update to automatically download the updates you need to keep your computer secure. Running Windows Update ensures that your PC has the latest security patches and changes to Vista, and it gives you the opportunity to install optional drivers and software. If you’re running Windows Vista on a network, it’s possible that your network security settings could stop you from using the Windows Update feature. Ask your network administrator. 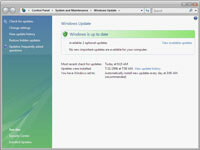 You can navigate to Windows Update by choosing Start→All Programs→Windows Update. 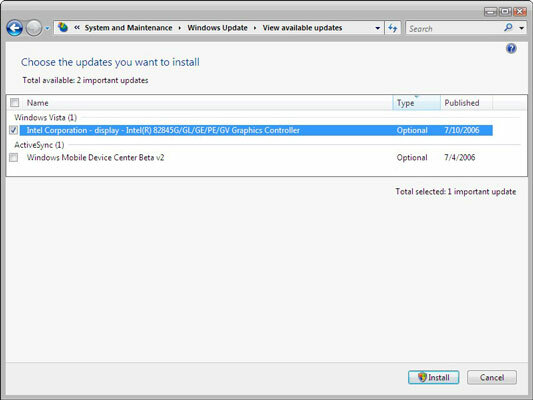 2Click Check for Updates in the Windows Update window. Windows thinks about this for a while, so feel free to page through a magazine for a minute or two. 3Click the View Available Updates link. After Windows is done thinking, you can find the View Available Updates link in the resulting window. 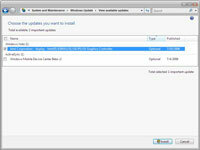 4Click to select updates that you want to install, and then click the Install button. A window appears showing the progress of your installation. When the installation is complete, you might get a message telling you that it’s a good idea to restart your computer to complete the installation. 6Click the Change Settings link in the Windows Update window and choose the frequency. You can set up Windows Update to run at the same time every day.